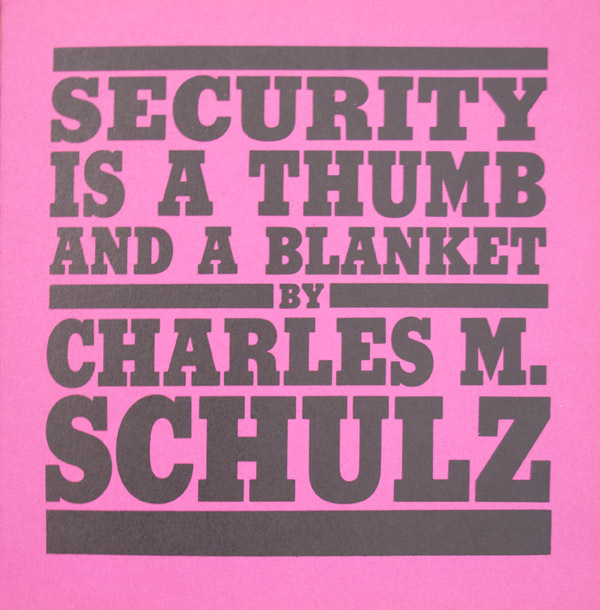 SCHULZ, Charles M. Security is a Thumb and a Blanket [with Signed Original Drawing of “Linus”]. [San Francisco]: Determined Productions, Inc. , 1963. First edition. 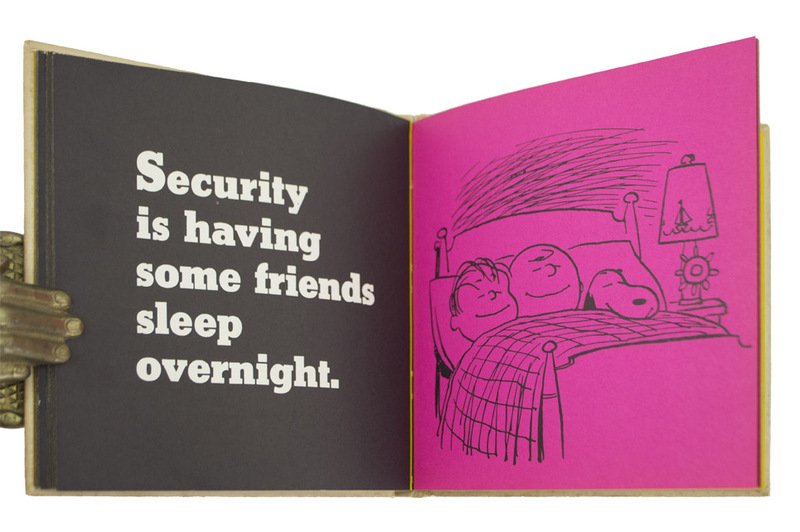 With a full page original drawing of “Linus” on the front blank free endpaper and presentation. 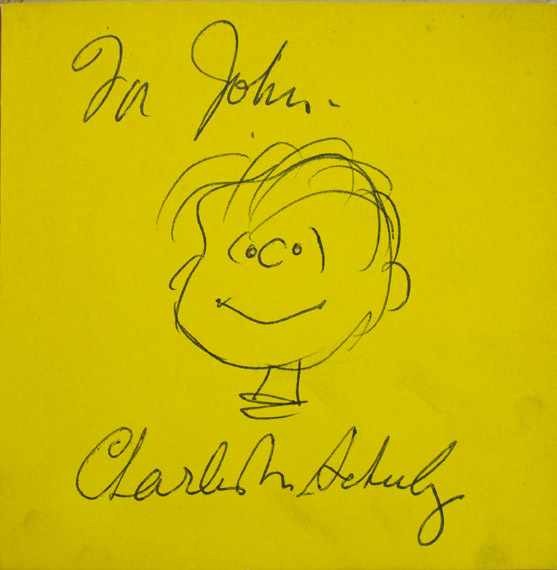 Drawing is inscribed by Schulz: “For John- /Charles M Schulz” Drawing and inscription fill first blank page (page size: 5 1/2 x 5 1/2 inches). Twelvemo (5 1/2 x 5 1/2 inches; 139 x 139 mm). pp. Original printed paper boards. Boards printed in red and black, with a picture of "Linus." Yellow endpapers. Leaves are pink, red, yellow, and black. In publisher's printed dust jacket. Some sunning and toning to boards. Top edge of spine with some cracking. Edges rubbed. Jacket with some very light sunning and some tiny chips along edges. A small, unobtrusive ink scribble on front panel of jacket. 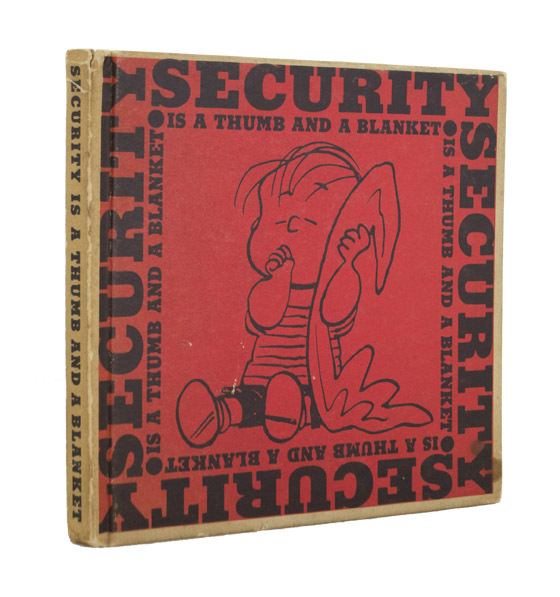 Overall, a near fine copy with a fantastic drawing of one of Schulz's most beloved characters. 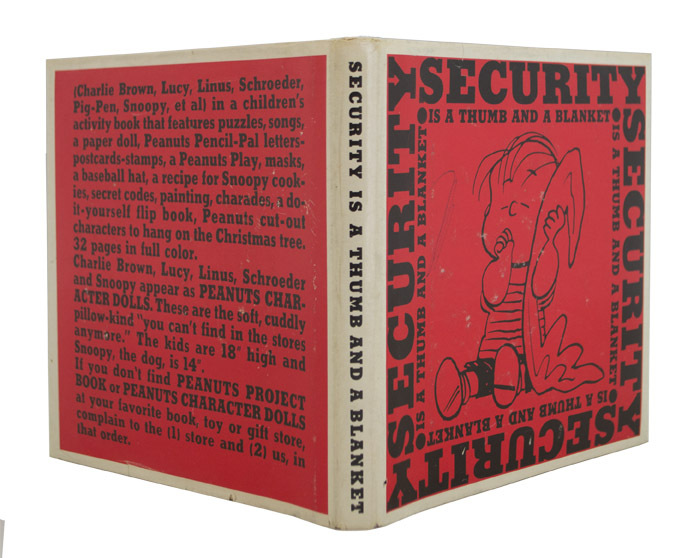 Schulz books with character drawings in them are quite rare and we could only find one book at auction in the past 50 years with a drawing of "Linus."